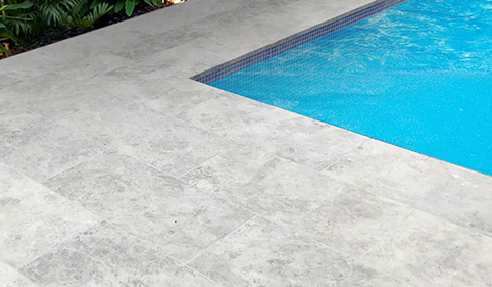 With many Aussies spending more and more time in their outdoor rooms and around the pool, demand for natural stone tiles and pavers is growing. As a result, Sareen Stone has designed its Alfresco range to supply designers, architects and landscapers with a product developed specifically with the outdoors in mind. 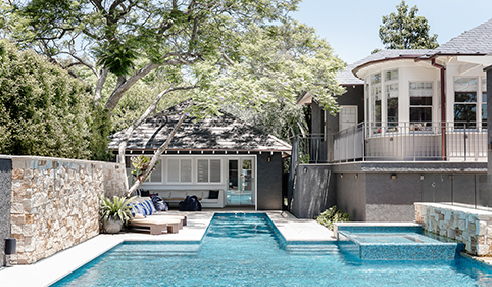 Sareen Stone's Alfresco range is lightly textured yet soft to walk on and stays cool in the hot Australian summer. 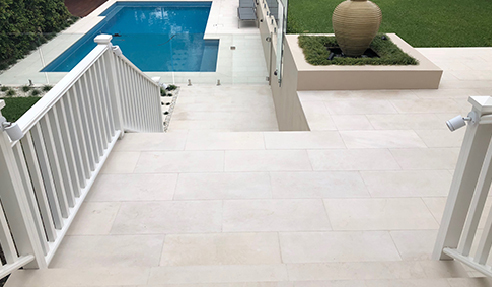 It now includes 7 products across the limestone, sandstone and granite ranges with all offers greater slip resistance in high traffic areas either covered or uncovered. 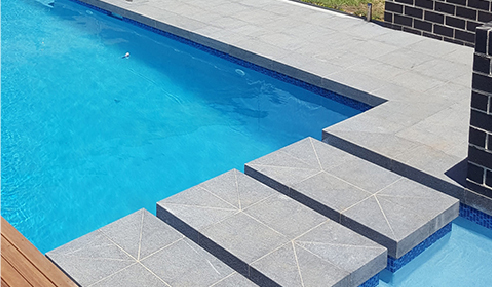 The Alfresco range includes tiles, pool coping, step treads plus integrated skimmer lids for a seamless finish around pools. 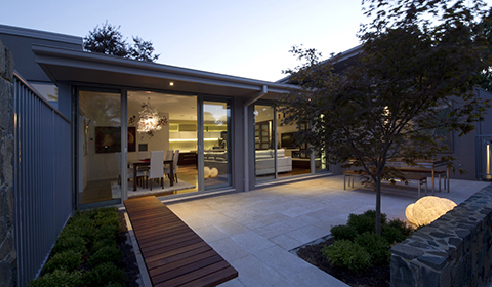 To order your samples from Sareen Stone's Alfresco range, contact one of the natural stone specialists or visit www.sareenstone.com.au.